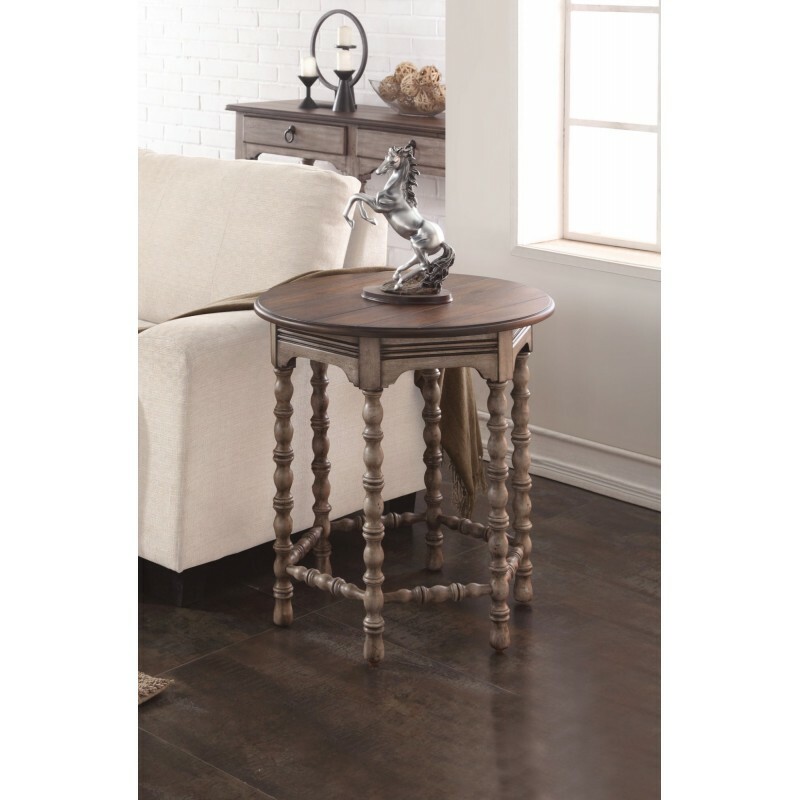 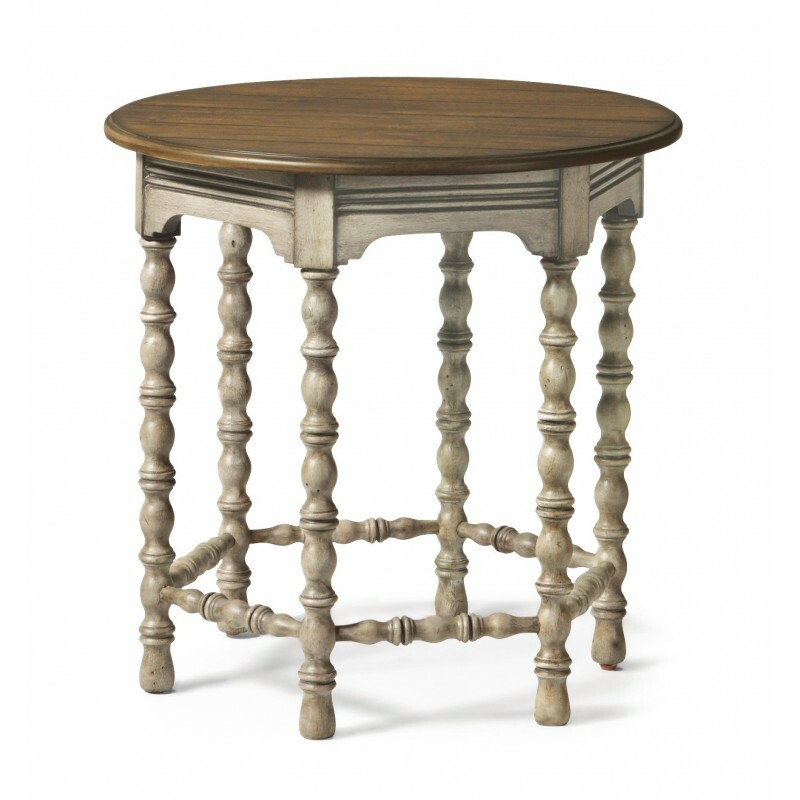 The Plymouth lamp table boasts a shabby chic design. 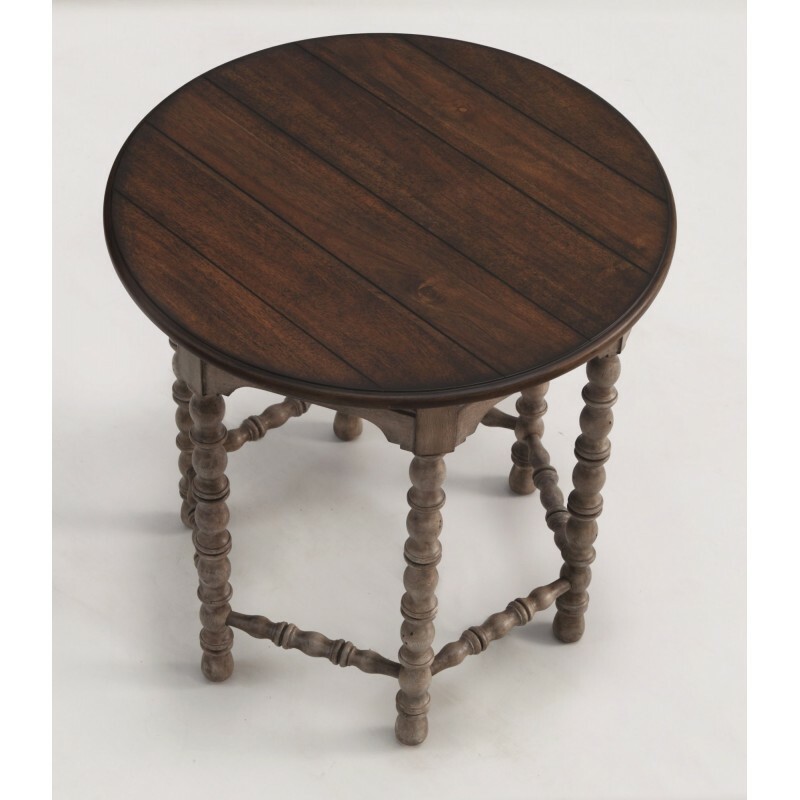 With an overall whitewash finish accented by a dark surface, Plymouth is ideal for those who like a bit of vintage design in their modern lives. This round table fits nicely between sofas or beside a recliner.